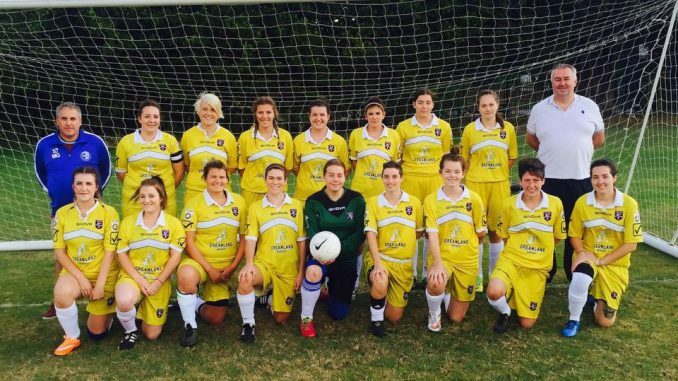 After two back to back promotion seasons, Margate Ladies are looking for women aged 16+ to join the Bluebirds. The trials will take place on the Margate Fives on Tuesday, July 11 and Tuesday, July 18 between 7:30pm-9pm. All players attending should bring Astro boots and shin pads. No football boots with studs or blades should be worn. Whether you have played football before, or you are looking to try a new hobby,the trials are open to all. Sessions focus on fitness, ball work, tactics and most importantly team work. If you are interested and would like to know more about the Bluebirds, contact them on any social media @margateladiesfc or alternatively email at mfcladies@margate-fc.com.